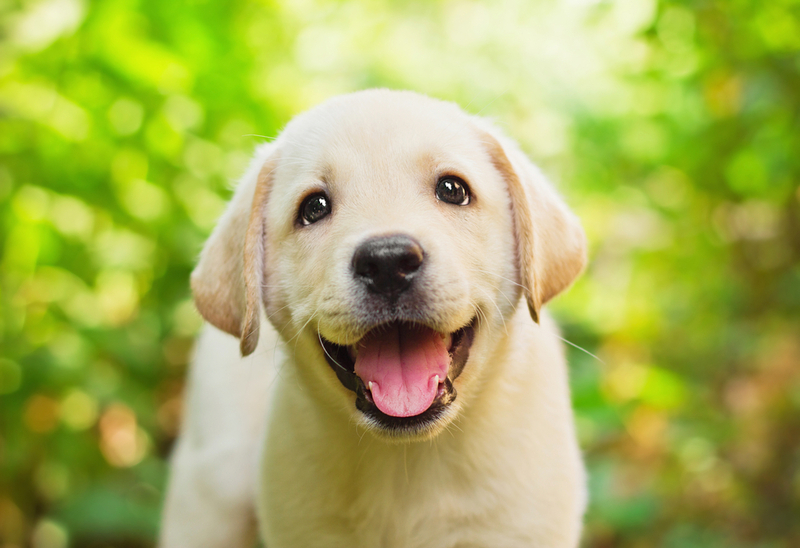 Pick the Perfect Name for Your New Dog! You just made the great decision to adopt a dog — congratulations! Now you will need to pick the perfect name for your dog and might need some dog name ideas. There is a lot to do before you can welcome a new pup into your home, especially if you are a first time dog owner. After you puppy proof your house, fill out forms, pick out dog home decor, and make vet appointments, you still have the important and fun task of selecting a name for your new dog! There are so many factors that go into picking the perfect name for your dog, like making sure it matches their personality, has relevance to you, and is the right length. The optimal name length is two syllables so your dog can understand and learn their name quickly. To make training smoother, pick a name that sounds distinct and doesn’t resemble any commands. Picking the perfect name for your pup can be difficult — this dog name generator makes it easier by narrowing down names to a custom list based on what filters you select. These filters include the gender and a variety of name styles. With this tool you can find a name that resonates with you and matches their unique personality. With over 200 dog name ideas carefully selected and sorted to your specifications, you are sure to find the perfect name. Bookmark Pet Jets for more helpful articles and for all your pet air charter needs! Brian Fiske is the Founder of Pets Jets and is a 30 plus year aviation industry veteran. Brian holds a Master's degree in Aeronautical Science from Embry-Riddle Aeronautical University where he taught as as associate professor for ten years. Brian is a FAA Licensed Commercial Pilot Brian started the company to provide a solution to the problem of flying pets in 2008 and the business assists pet owners worldwide with air travel solutions. Sign-Up for Empty Leg Alerts! Pet Jets is a consulting service who is an agent of its members. Pet Jets is not an air carrier and does not own or operate the aircraft on which its clients fly. All Flights are operated by Part 135 air carriers. Operators providing service for Pet Jets members must meet standards set forth by the Federal Aviation Administration (FAA) in the United States or by the aviation authority in the country the air carrier is approved to operate. Data provided for empty-legs specials are provided by Part 135 air carriers that are for the purpose of aircraft availability by location and not scheduled service flights.